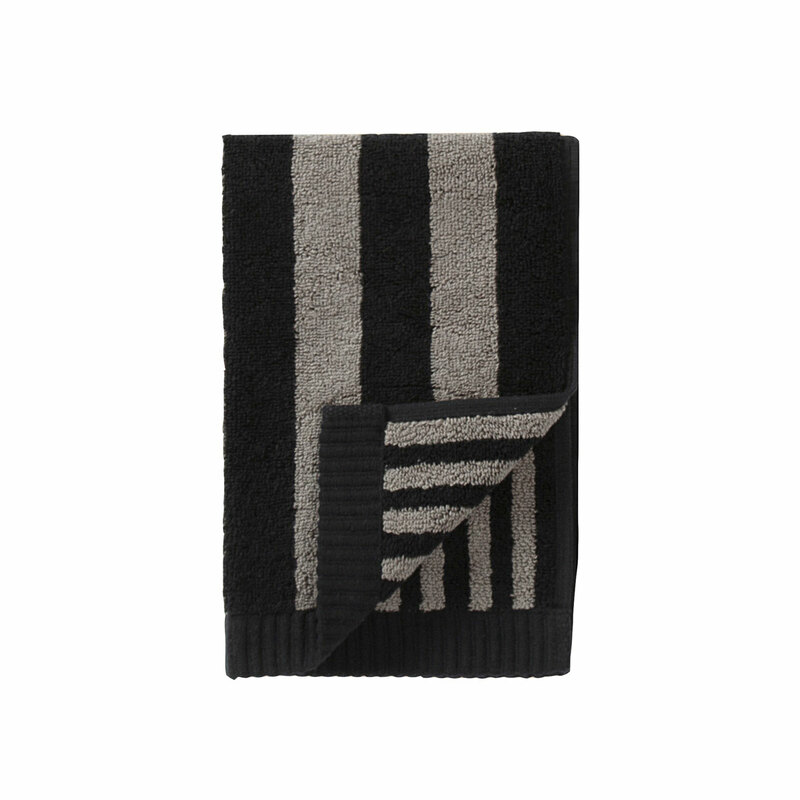 More about Marimekko Kaksi Raitaa Black / Grey Guest Towel Maija Isola's bold stripes stretch across each side of the Marimekko Kaksi Raitaa Hand Towel; one side in the wide Nimikko stripe and the reverse side in the thin Ujo stripe. Lengthy and fluffy, the 100% cotton terry towel features strong, reinforced ribbing on the ends and is highly absorbent. 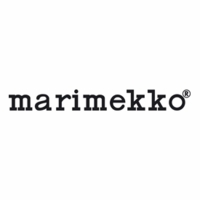 The towel can be mixed and matched with the same or other colorways of the Nimikko and Ujo bath collection as well as Unikko to create a unique yet cohesive set that fits your décor style and lifestyle. This towel is effect size for our steam shower seat. We already have the towels and everything goes well together. These towels have such great colors for us. Great! Cool design, soft and absorbent. slightly smaller than I'd like, but still great.